Members of the Phipps family who attended the induction and accepted the awards on behalf of Russel and Leonard Phipps. Leonard Phipps is known for being one of the first ranchers to bring Quarter Horses to Nebraska. Two Nebraska cowboys, Russell Isaac Phipps and his son Leonard Russell Phipps, were honored by induction into the Nebraska Sandhills Cowboy Hall of Fame on Saturday, June 15, 2013. The induction banquet was held at the Thedford, Neb., fairgrounds where friends, family, and community members met to recognize these outstanding gentlemen. The two cowboys have had years of endless success riding horses, raising livestock, and growing their family ranch that has been in the family for six generations. Russell Phipps was born on May 12, 1897, in Macon, Mo., to Luther and Matilda Phipps. He was described as the "epitome of a true Sandhills pioneer," by Sandhills Cowboy Hall of Fame speaker Rod Palmer, a huge advocate of the ceremony. Russel, his parents, and older brother Raymond, moved to Lakeside, Neb., when he was only 18 months old. Three boys, Lyle, Charlie, and Hansel, along with four girls, Lila, Alice, Ester, and Peg, were added to the family and they became permanent residents of Nebraska. The Phipps family relocated in 1903 to a homestead northeast of Whitman where Russell helped move his family's cattle from Lakeside to Whitman when he was only 6 years old. Along with moving cows, Russell also rode his first bronc when he was 6 years old; getting his practice by jumping on a range horse and only having the mane to hang on to. He became known as "that Phipps kid" who could ride anything. As if that wasn't impressive enough, at the age of 9, Russell and his older brother Raymond spent their spring and summer months by themselves taking care of the family's cattle, with their parents only visiting every couple of weeks to bring them supplies from town. Russell married Elva LeLaCheur in Valentine, Neb., on Oct. 7, 1925, and they had three sons: Leonard, Doug, and Bob. He then became a member of the Old Time Cowboy Association and the Nebraska Stock Growers. 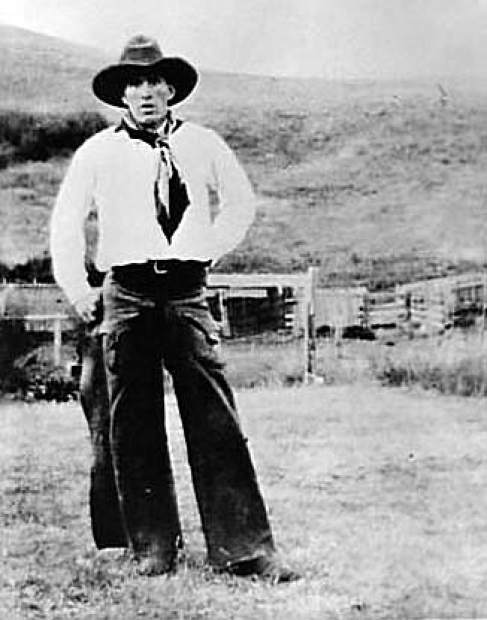 Russel continued to work on the family's ranch until the summer before his death on July 4, 1980. Russell was known for his honesty and his incredible work ethic. His love for his family as well as his ranch showed great character and therefore earned him this great honor. He was highly respected and loved by those who knew him, and for those who didn't – his character is visible through the legacies he left behind. Russell Phipps' son, Leonard Phipps, was also an extremely deserving cowboy of this award. Leonard Phipps was born Feb. 26, 1927, in Mullen, Neb. to Russell and Elva Phipps. He spent most of his life living and working on the family's ranch that his grandfather had purchased in 1906. Leonard switched their cow-calf operation to a yearling steer operation which helped the family ranch continue to develop. 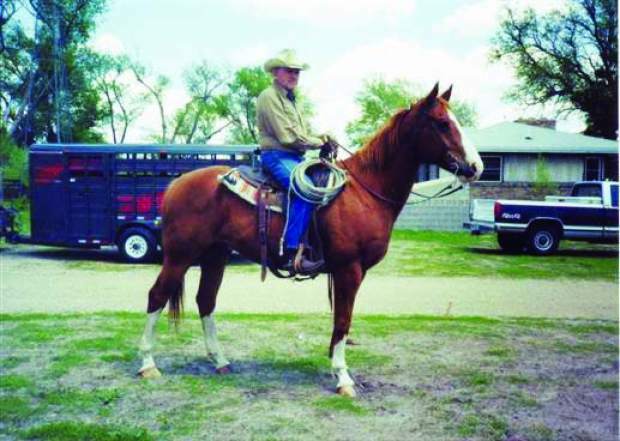 He was also one of the first Nebraska ranchers to introduce registered Quarter Horses to the area. Through this, he developed a program that has sold Quarter Horses all over the United States as well as France. 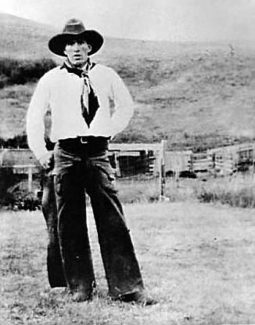 Learning at an early age how to successfully run a ranch, Leonard participated in working cows and starting colts. He roped on occasion and competed in team penning. Following graduation from the Nebraska College of Technical Agriculture in 1944, he married Ferrissa Malcolm in New York on June 8, 1949. They had three children, Wayne Phipps of Berthoud, Colo.: Gary Phipps of Whitman, Neb., and Lois Hardy of Mullen, Neb. In 1960, Leonard purchased his first two American Quarter Horse mares from Dewey Norell. One of the mares foaled the following year and started the legacy of raising registered Quarter Horses carrying the "Cross-D" brand. 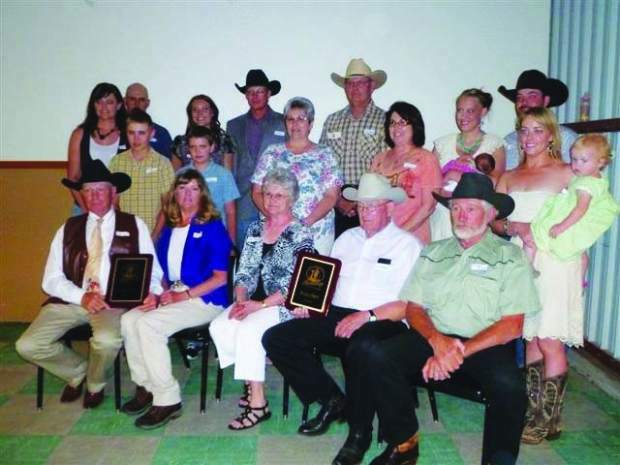 In 2011, Leonard was recognized in Amarillo, Texas with an American Quarter Horse Association Legacy Award for continuing 50 years of raising American Quarter Horses and in 2012 the ranch was honored as a Ranching Heritage Breeder. Leonard passed away on April 18, 2013, but the Phipps' family ranch continues to be successful due to his hard work and sacrifice. The Phipps family has shown immense dedication and hard work over the years and has become role models for cowboys everywhere. The Nebraska Cowboy Hall of Fame is a very deserving award for these men and the family will continue to raise their children with the same values that Russell and Leonard Phipps practiced. If you are interested in learning more about the Phipps family read the “Ranching Legacy” story about the Phipps family.